Below you fill find all funeral homes and cemeteries in or near Waterford. Suburbs of Waterford: Jordan Village, Millstone. Waterford is also known as: Central Waterford, and Connecticut. Their current mayor is Mayor Paul Konstanakis. Zip codes in the city: 06385. Some of the notable people born here have been: Veronica Ballestrini (songwriter and singer), Zach Hurd (american football player), and Randy Johnston (model). It was written by Hartford Courant on December 13th, 2018 that Walter G Jr "Walt" Davis passed away in Waterford, Connecticut. Davis was 94 years old. Send flowers to express your sympathy and honor Walter G Jr "Walt"'s life. It was disclosed by New Haven Register on April 12th, 2018 that Bridget Chiaraluce (Consiglio) perished in Waterford, Connecticut. Ms. Chiaraluce was 98 years old. Send flowers to share your condolences and honor Bridget's life. It was noted on February 26th, 2018 that Sheryl Catherine Carroll (Duzant) passed on in Waterford, Connecticut. Ms. Carroll was 70 years old and was born in St Nicolas, . Send flowers to express your sympathy and honor Sheryl Catherine's life. It was disclosed by Kalamazoo Gazette on October 24th, 2017 that Mildred L "Millie" Forrest (Heron) passed away in Augusta, Michigan. Ms. Forrest was 99 years old and was born in Waterford, CT. Send flowers to express your sorrow and honor Mildred L "Millie"'s life. It was written on May 28th, 2017 that Hillary Rose miss McCurdy passed away in Waterford, Connecticut. McCurdy was 25 years old and was born in Kalamazoo, MI. Send flowers to share your condolences and honor Hillary Rose miss's life. It was noted on April 8th, 2017 that Rosemary Green (Anderson) passed away in Waterford, Connecticut. Ms. Green was 81 years old. Send flowers to share your condolences and honor Rosemary's life. It was revealed by San Diego Union-Tribune on January 8th, 2017 that Annabelle E Highhouse (Sisson) died in Chula Vista, California. Ms. Highhouse was 95 years old and was born in Waterford, CT. Send flowers to share your condolences and honor Annabelle E's life. It was written on February 5th, 2016 that Audrey Elizabeth Dunbar perished in Waterford, Connecticut. Dunbar was 93 years old. Send flowers to express your sorrow and honor Audrey Elizabeth's life. It was reported by Norwich Bulletin on November 26th, 2015 that Barbara Ann Coppo (Bell) perished in Waterford, Connecticut. Ms. Coppo was 64 years old. Send flowers to share your condolences and honor Barbara Ann's life. It was written by Norwich Bulletin on March 1st, 2015 that David M Fedeli perished in Waterford, Connecticut. Fedeli was 71 years old. Send flowers to express your sympathy and honor David M's life. It is named after Waterford, Ireland. 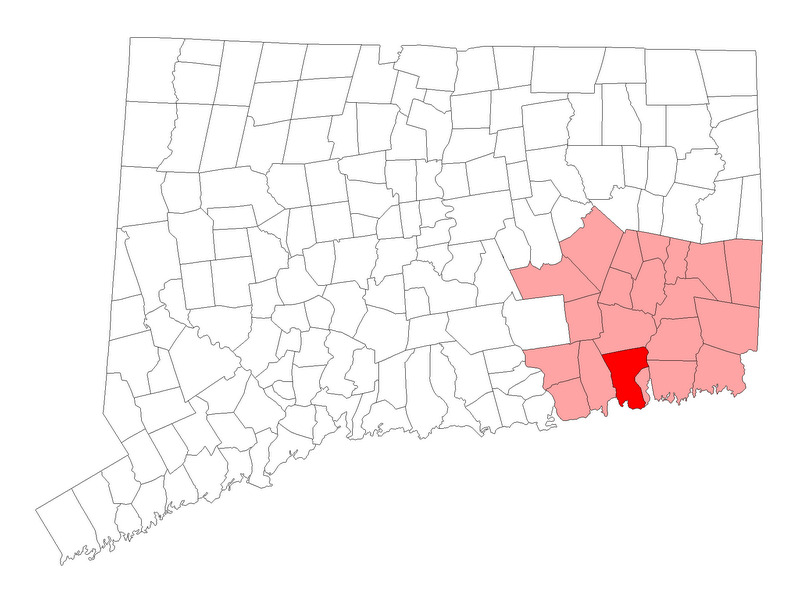 Waterford is a New England town in New London County, Connecticut London County, Connecticut, United States. The population was 19,152 at the 2000 United States Census census. . . The official website for the city of Waterford is http://www.waterfordct.org. Find BBB Accredited Funeral Directors near Waterford, CT - your guide to trusted Waterford, CT Funeral Directors, recommended and BBB Accredited businesses. We work with local florists and flower shops to offer same day delivery. You will find budget sympathy flowers in Waterford here. Our funeral flowers are cheap in price but not in value.